3D printing is being part of our lives and we’re probably getting used to the idea of doing it to innovate and improve our work, and why not, our daily existence. It is always worth to look at the reality and not at the illusion, but the data and the market are quite clear. They are currently talking about billions of dollars and millions of units for sale. Maybe numbers aren’t much interesting, but they are definitely important to understand how the scenarios are moving around us. This definitely means more services, quality, materials, spare parts for users, we have to be happy. And surely you know that we can re-evaluate our experiences in the best ways. In all this great movement, it is increasingly difficult to keep up with countless startups offering the most bizarre and amazing printers. While the big brands try to win over users and communities, the latter being -especially now- formed around an idea rather than a simple product. In this excitement, our intention is not to pursue the most promising one or find printers having the most striking characteristics, since currently it is enough to give space for fantasy. we, instead, would like to mention the printers that are worth more, in this great market called “sea”, to stay afloat, not only because of a qualitative or economic issue, but due to boldness and ambition, heart and passion. From the beginning we have being following the stories related to 3Dprinting; the liberalization of the license related to the FDM technology has opened the way for the contamination, the freedom of using and modifying a democratic technology. Starting from this virtuous path they have created developments, collaborations, interactions that have moved and changed and brought the FDM technology to a remarkable maturity, as to give it new workflows and create new skills or update the more traditional. This is crucial and significantly enlarges the catchment area linked to 3Dprinting and therefore its future developments. As we have already pointed out, the real revolution behind this technology is the freedom of use, modification and improvement: a case of successful incredible open source hardware. This is why we intend to sue and reward the printers that excel in maintaining high-source-hardware cornerstones. It is clear that even the best 3D printer, made with the best materials and with high reliability, requires an experienced user. Only with some experience, indeed, and after many mistakes the user will be able to reap the fruits of this technology. 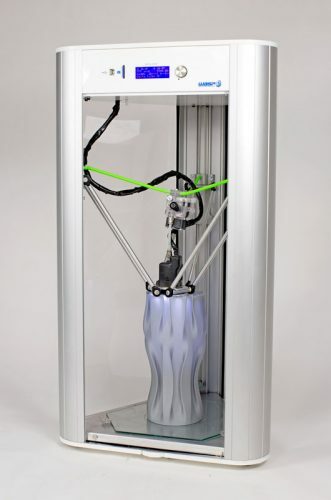 A printer working with single material, few functions, slightly extended requires an interaction with the user and therefore very low and presents remarkable ease of use. This is similar to catch a taxi and just arrive to your destination, or learn how to drive, learn about the car and enjoy the journey. 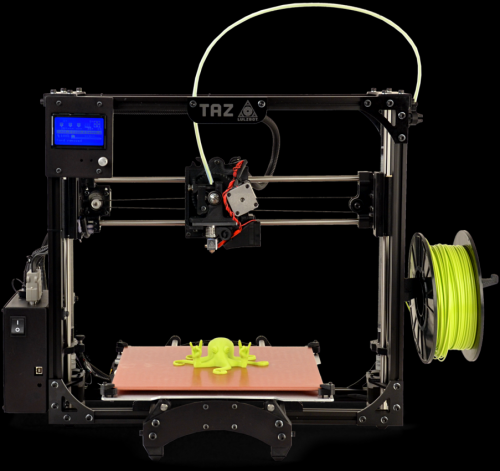 We could not forget one of the best selling 3D printers. Our 3Drag, the most “hacked” and multi use printer that opened the roads for many utilizations:milling, printing chocolate, oversized prints … In brief, a tool, a continuous project development, steadily updated with the constant support of the community. It’s a printer that seamlessly combines teaching and high quality components for a single product. Aluminum structure with a square section profile, scroll with recycling sleeves of balls on ground bars 8 and 10mm, hotend nozzle 0.5 mm, print area of 200x200x200mm can be expanded with the “big” kit up to 400x200x200mm. How not to mention the added work of the community, which provides continuous updates and developments? Do you feel like a chocolate? Why not print it in the shape of your favorite character? You need to create a PCB? In less than 5 minutes the printer turns into CNC. It may be surprising for you, but the price is the lowest: € 410 for the kit version. A versatile machine with affordable price, for everyone and for all tastes. It is impossible not to mention the fifth version of the flagship product from one of the most famous brands that have written the open-source story. This successful product exemplarily combines the open source philosophy, the hardware business and the quality. A solid metal frame with a simple and effective design, the heated plate, the large print area of the largest with 298mm x 275mm x 250mm and extruder in Hexagon Aluminium, make it a beloved printer to everyone. It is characterized by ease of installation and modification, as well as the quality of components that enables it not only to resist over time but also to print different materials. A great community provides for his continuous developments; the technicians working at the customer service are in the top three in terms of quality and response times and the results speak for themselves. $ 2200, this price for one of the most efficient printers, with larger print area than the standard, several optionals and, most of all, the freedom of innovation. We look forward to the brand new model not yet available, but already announced, the Taz 6. An example for all startups and innovators. A product and a way to be sure to keep all of this in mind. A name almost illegible, but effective in expressing a concept and a lifestyle. “Falla”: it means build, construct it and learn. This is how this experimental Italian bold project was born and now comes to the third version. The first printer with magnetic levitation is now grown since that day in November 2013, when, from a Mondrian project fork, the maker and railroad Giacomo Falaschi had the brilliant idea of combining the principles of magnetic levitation of superfast trains to a 3d printer. The third version began to unleash the arsenal, deploying handling extruder through CoreXY precise, laser-cut components at lower costs and construction time, Igus guides to improve accuracy, reliability and low maintenance and as always a solid structure in V-Slots aluminum. The project has benefited from the cooperation with different FabLabs and makers from all over Italy, a far cry from the idea of a business focused just on selling products, but linked to a no-profit philosophy for educational and constructive development purposes.Such a reality encourages users to constantly improve themselves and their workflows, by constantly involving whole communities in developing machines. Several “hacking” increased the portability and modularity of this project: from those who tried to make a “Big” with 500x500x500mm print area to those who milled PCBs, all in the most open manner possible. You want one? Do it yourself! On your own or following one of the many courses in Italian FabLabs. 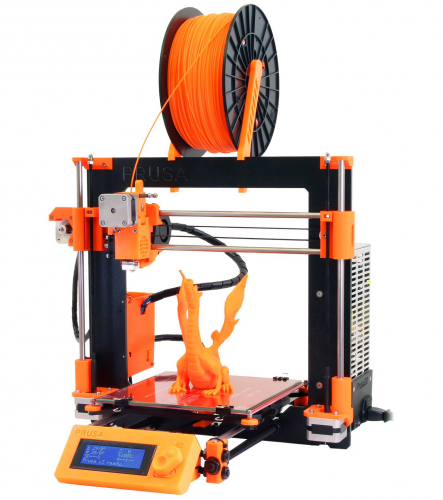 Among the best, the timeless Prusa i3. The first 3D RepRap printer project having been simplifying the assembly process, lowering costs and improving the purpose of retaining that authenticity, originality and above all simplicity that made it memorable. 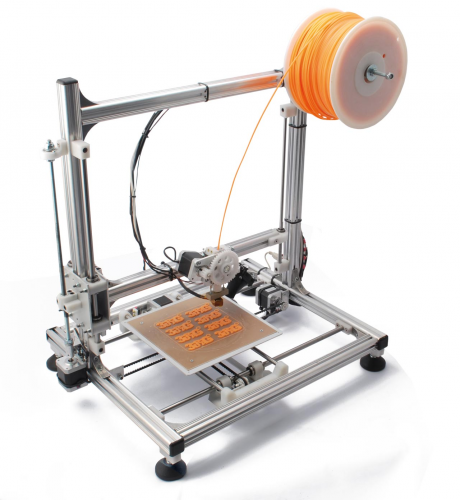 Anyone nowadays has some knowledge about the FDM technology, anyone who has founded a startup on 3d printers, or who has launched a crowdfunding campaign with a project of a 3d printer with incredible functionalities has necessarily been through Prusa i3. 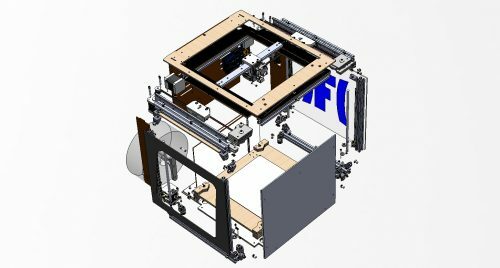 Its creator Josef Prusa is a young Czech that since 2009 is being engaged in the development of the RepRap project for the constant improvement of low cost 3D printers. He humbly and unwittingly revolutionized the 3D printing world. The message is clear and will appeal especially to the many who nowadays talking about 3D printing without having knowledge, creating false expectations about the world of digital fabrication. Moreover it blames those who deviated from the open source movement tied to 3d printing, abruptly swerving towards the closure of projects after having freely drawn information from the Prusa tank, seriously damaging communities and development. The Prusa strengths are simplicity, honesty and above all the transparency with which Joseph manages its project under GNU / GPL v3 license: you can find any information, files, diagram, guidance or component. This is a key aspect, often neglected but for which Prusa is an example. The printer retains all its simplicity and high print quality, easy installation, especially after the latest revisions. Print area is 200x200x200mm, electronic RAMBO Mini, frame open design for easy operation and maintenance, extruder E3D 1.75 which grants, together with the heated plate, for virtual compatibility with all of the filaments on the market. All of this in a handy installation kit with online instructions, as well as a huge community support or direct support even for professionals for 655 €. Furthermore our “guru” of 3d printing has just released the Prusa i3 MK42, with so many amazing upgrade: new heated bed for optimal temperature even in the corners and bigger printing area (250mmx210mmx200mm); Ultem PEI, a new print surface, resistent and sticking; Integrated leadscrew Z axis; auto mesh bed leveling with induction probes and so much more, in a kit DIY version for 739 € and the mounted and calibrated version only for € 999. For the rest of the prints are talking to Josef and his company, that simplicity has made his workhorse and made it the most supported printer and “hacked” by the community, and most widespread in the world according 3DHubs. Prusa i3, the everybody’s printer. Last but not least, not the most exciting project revolving around the world of 3D printing, but definitely the most daring: WASP guys’ “World Advanced Saving Project.” These Italian guys want to save the world through a long-term project: printing low-cost houses with a huge printer, and according to their recent progress it is easy to appreciate and believe in what they say. We definitely recognize their capability in having been making “delta” one of the printers having the most exciting features ever and in many different sizes and utilities. From large prints to clay ones in a jump, it offers resolution, design, restore function in case of brownouts and attention to detail nothing short of amazing. 3dhubs puts it among the best printers due to design, precision, speed, area, and print quality, and we must confirm that, for hobbyists or architects, designers, students and small and medium-sized companies. Also notable is the “Turbo” version , which promises speeds and amazing acceleration, 1000mm / s declared, thanks to a 32-bit card two Arduino based and thin wire sensor. Also good for making easy to use and maintain for anyone a printer which is not the most simple to design, assemble and calibrate. An example of the whole Italian best performance and excellence. The best ever delta from 2800 €. Large download area of projects, processes, components, firmware. Our hope is that Wasp will continue in this direction by promoting contamination, freedom of using and modifying the machine in favour of the many fans and the community linked to the brand but even more to the ambitious mission that these guys are planning to carry on. For all of this we thank all these brands and many others who, together with manifold small communities and individuals who humbly every day bring their own contribution, fostering the ripening of the 3d printing phenomenon through the the purest mind and spirit of open source hardware. And you, readers, what do you think abou them? What is your favorite open source 3D printer? This article is the result of our humble experience in the great sea of 3D printing, but please send us your experiences and opinions, we’ll insert them in our article and together we’ll develop a collective knowledge. Let’s keep on growing, all together.